The highest court in the U.S. has leveled the playing field for e-commerce companies and retail landlords snared in a tug-of-war for consumers. Categories: Americas Retail, Logistics / E-Commerce, Retailers and tagged E-commerce, JLL Retail, JLLRETAIL, tax ruling. Online retail sales will grow by an average of 15 percent annually through 2020 according to eMarketer. But, the rate at which online versus in-store sales occur will vary drastically by category. JLL’s latest report explores the tie between how shoppers value goods and the way 13 retail categories will be sold. Categories: Americas Retail, Digital Retail, Malls, Retail Transactions, Retailers, Technology and tagged E-commerce, e-tailer, Electonics, Fast Fahion, Furniture, JLL Retail, omni-channel, Online Shopping, Restaurants, Retail Report, Retail Research. Categories: Agency Leasing, Americas Retail, Holiday Shopping, Logistics / E-Commerce, Retailers and tagged E-commerce, Free Shipping, Holly Rome, JLL, Naveen Jaggi, Online Shopping, retail. Instant gratification keeps getting more instant in the shopping world. 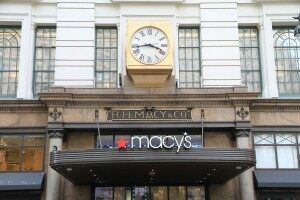 In the race to keep up with e-commerce players, retail giants Macy’s and Bloomingdale’s will this fall launch same-day delivery services in 50 of their stores – across eight Macy’s markets and four of Bloomingdale’s. Categories: Americas Retail, Logistics / E-Commerce and tagged E-commerce, Kris Bjorson. Someone once asked Jesse James why he robbed banks, and he said, ‘That’s where the money is.’ The same sentiment holds true for Southern California where the coastal communities, for the most part, are doing very well, Craig Killman of JLL points out. Categories: Americas Retail, Logistics / E-Commerce, Retail Transactions, Tenant Representation and tagged California, Craig Killman, E-commerce, Globest.com, JLL, Real Estate, retail. UPDATE ICSC New York: From E-bay’s one hour delivery service to Amazon’s futuristic proposed drone delivery, retailers are battling to gain competitive advantage by appealing to their customers’ need for ‘insta-delivery’. Categories: Americas Retail, ICSC Events, Logistics / E-Commerce, Malls and tagged cre, E-commerce, icsc, JLL Retail, Jones Lang LaSalle Retail, Logistics, omni-channel, retail. Categories: Development, Logistics / E-Commerce and tagged E-commerce, Kris Bjorson, Logistics, NAIOP, retail, warehouse.